The FX60 vacuum excavator is designed for super-sized cleanup jobs such as non-hazardous wastewater, salt and sand removal, industrial machine cleaning, and a multitude of post-emergency restoration uses. 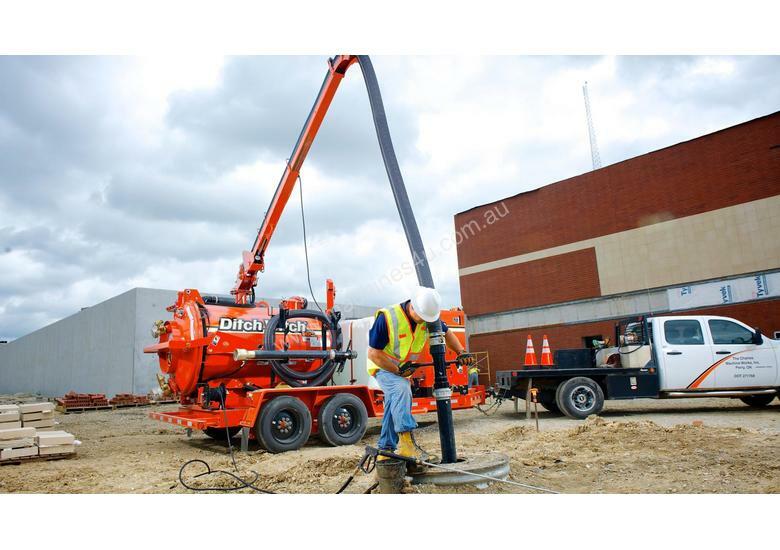 With its many standard features and a lengthy list of options, the multi-purpose FX60 vacuum excavation system also takes care of unwanted fluids and spills in and around manholes, catch basins, meter boxes, storm drains, cellars, conduit and pipe, vehicle wash pits, gutters, grease traps, and directional drilling sites. Soft excavation capabilities include digging postholes, underground utility location, cleaning utility boxes, and street repair. Tier 4, 74-hp (55-kW) Deutz® diesel engine powers the FX60’s outstanding suction and water pressure. Tier 4i 60-hp (45-kW) Cummins® diesel engine option available in less regulated countries. Reusable, 2-micron vacuum filter and a blower relief valve air filter provide the industry's best filtration. Saddle-style tanks give the 1,200-gallon FX60 vacuum excavator a lower center of gravity and enhance trailer balance. NHSTA-compliant trailer comes standard with toolbox storage in tongue. 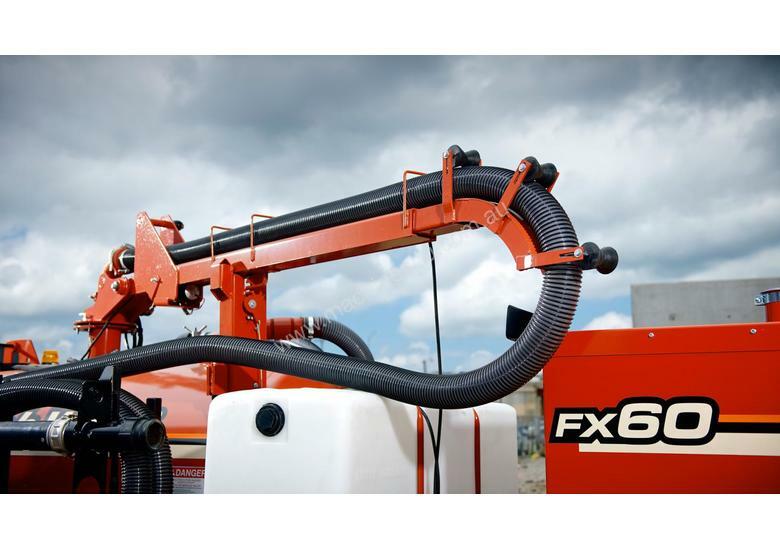 The FX60's numerous options include a choice of 500, 800 or 1,200 gallon vacuum tanks and choice of 200, 300 or 500 gallon water tanks to meet the requirements of virtually any size cleanout job. The FX60 will be one of the most versatile machines in your fleet; applications include exposing buried utility lines, cleaning out storm drains, directional drilling site cleanup, water leak repair, valve box cleanout, utility vault cleanout, commercial and residential debris cleanup. 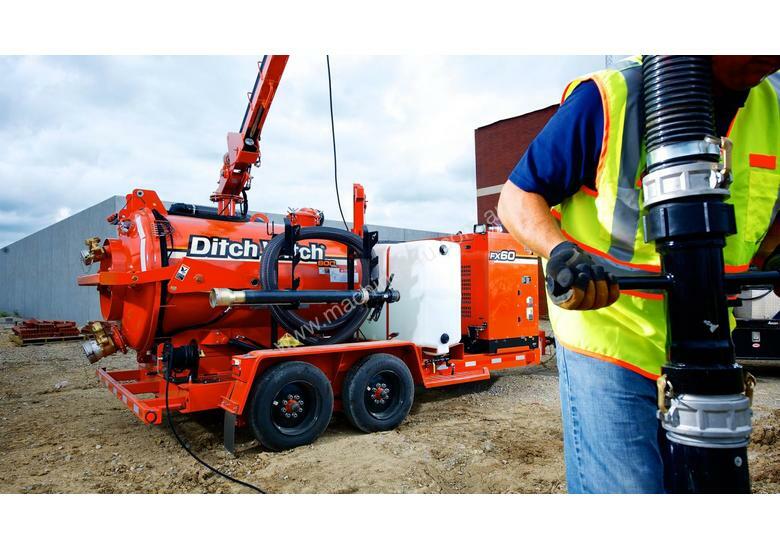 Hydraulic power source powers a variety of jobsite tools, everything from impact wrenches to jackhammers. High pressure water system with a 5.2 gpm, 3,500 psi water pump; water pressure adjustable from curbside operator’s station. Hydraulic door opens fully horizontal to maximize the efficiency of spoils removal. Auto-clutching feature disengages the water pump when water is not in use, allowing full system power to the blower. 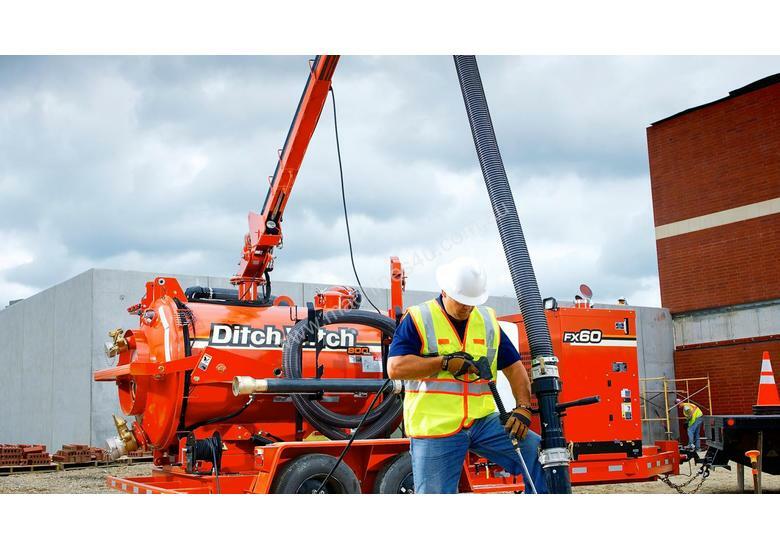 Optional hydraulic boom saves labor, time and reduces operator fatigue. At 82 dBA, the FX60 vacuum excavator is the quietest in its horsepower class, for minimal disturbance in noise-sensitive areas and greater operator comfort. ELB Equipment sells premium machines to a customer base that takes the long view. We recognize that to be sustainably successful we must do everything we can to ensure our customer’s success.